Small blood vessels in the kidney filter out the waste products from the body. High blood pressure and high blood sugar can damage these vessels thereby they will not be able to do their functions effectively. In the beginning stages of kidney damage, traces of protein also called 'albumin' begins to appear in the urine. This stage is called MICROALBUMINURIA. Early kidney damage has no symptoms and can be treated with diet and medicines and is reversable. As the kidney damage gets worse, large amounts of protein can be detected in the urine which is called as the stage of PROTEINURIA or overt nephropathy. By this stage, the damage is often irreversable in most cases. Finally the stage of renal failure sets which can rapidly progress to End stage Renal Disease which requires either Dialysis or Transplantation to sustain life. 1. Check for the history of other renal diseases in the family. 2. Check for urinary tract infection through urine and culture sensitivity test. 3. Ultrasound examination of the kidneys. 4. Measurement of urea and serum creatinine and comparison with previous levels. 5. 24 hr urine collection for protein excretion. 7. Check ECG and Chest X-ray. 1. Poor control of diabetes. 2. Long duration of diabetes. 4. Genetic Factors (Family History of kidney disease). Diabetic kidney disease is one of the commonest causes of kidney failure. 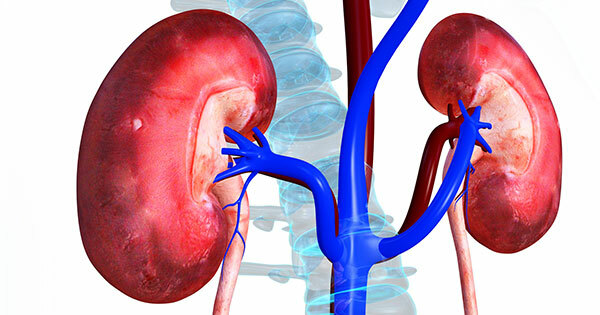 Kidney disease is asymptomatic till late stages. Kidney disease is preventable by early detection of diabetes and good control of diabetes and blood pressure. Screening for diabetic kidney disease should be done at least annually. Any shiny appearance on the feet. 1. Diagnosing diabetes at an early stage by regular screening. 2. Once diabetes is diagnosed, it should be kept under very good control. 3. Tight control of blood pressure (130/80mm/Hg) helps to prevent kidney damage. 4. Regular screening for microalbuminuria to identify early stages of kidney damage. 5. Use of ACE inhibitors or other drugs, which have very good effect in early stages of kidney disease. 6. Regular check-up at diabetes centre. 7. Strict diet as advised. If there is proteinuria, the protein intake in the diet may have to be reduced.